Buying and Selling Waterfront Properties in the Finger Lakes » Hide-a-ways Inside Your Lakefront Home – Literally ! Hide-a-ways Inside Your Lakefront Home – Literally ! I tend to browse many blogs and websites and one of my favorites is Houzz.com. This site is wonderful for ideas. My dentist and his wife used many of the ideas to incorporate in the building of their new home. You can post questions, look for answers and of course just browse to see what is new and trendy. As I am looking through some of the secret room ideas, a light bulb went off. Many lakefront owners on Keuka Lake ,Canandaigua Lake, Seneca Lake and Cayuga Lake either use their properties seasonally or rent them out through a vacation rental program when they are not being used So what a neat idea to find ways to store your personal things at your lakehouse. This would eliminate always bringing things back and forth. 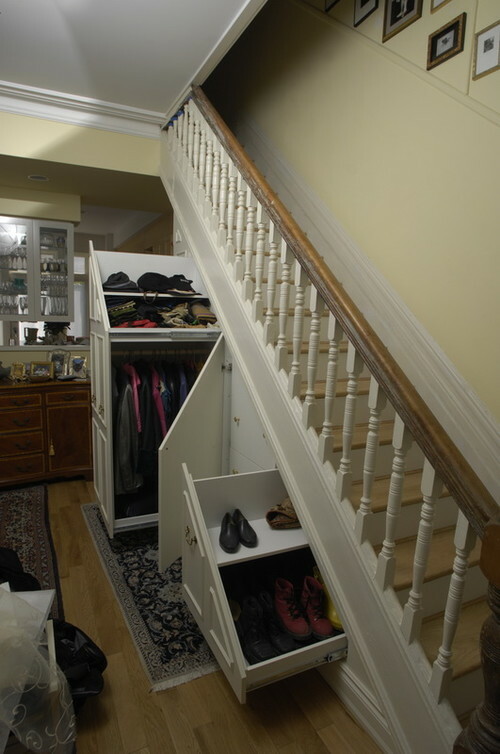 Many owners currently keep an “owners closet” that is locked to everyone else. 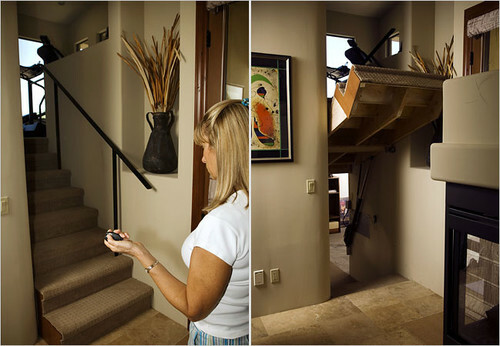 Having a secret room or wall or storage in the stairs could be even better. Take a look and see what you think. 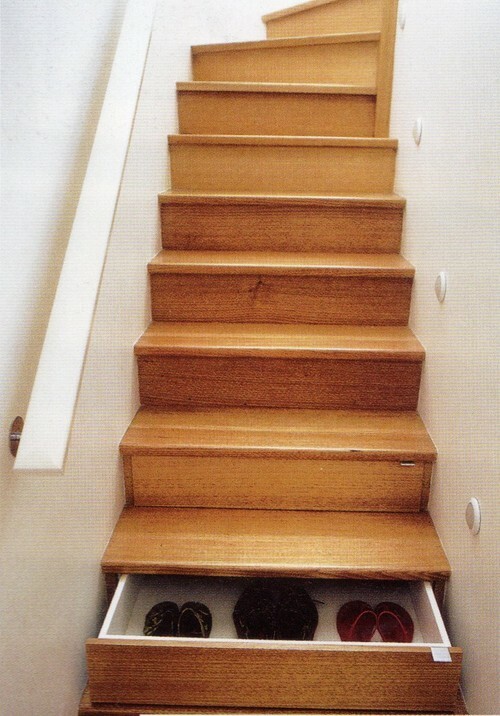 What perfect use for under the stairs, separate little compartments. OK, so now we are utilizing under the stairs in a very organized efficient way ! 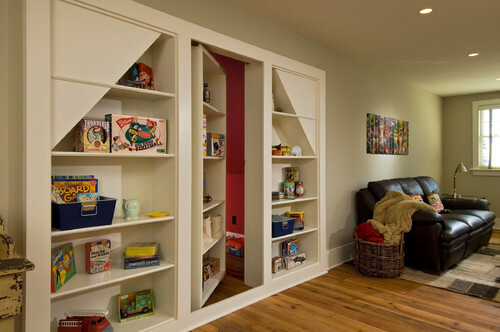 How about a secret owners room with a hidden entrance under the stairs ? Or better yet, a wall that moves to disclose a hidden room? Here is a sample of some hardware that is used in hiding walls and doors. This entry was posted on Wednesday, March 28th, 2012 at 12:24 pm	and is filed under Real Estate News. You can follow any responses to this entry through the RSS 2.0 feed. You can leave a response, or trackback from your own site.